Please join the The Harriman Institute of Columbia University and New York University’s Jordan Center for the Advanced Study of Russia for a panel discussion on “Putin’s Last Term?”, featuring panelists Henry Hale (George Washington University), Yoshiko Herrera (University of Wisconsin-Madison), Kimberly Marten (Barnard College and Columbia University), and Graeme Robertson (University of North Carolina Chapel Hill). This event is part of the New York Russia Public Policy Seminar, co-sponsored by The Harriman Institute of Columbia University and the New York University Jordan Center for the Advanced Study of Russia. The joint initiative, supported by the Carnegie Corporation of New York, establishes a regular forum for academics and professionals in New York city to engage with pressing issues informing U.S.-Russia relations. The sessions seek to bring innovative and impactful scholarship and analysis to bear on key trends and related policy questions and to create an informed network for open dialogue and debate. While perhaps not everyone is waiting on pins and needles to see who wins the 2018 Russian presidential election, the question of what comes next remains wide open. Please join the NYU Jordan Center and The Harriman Institute of Columbia University for the next event in our NYC-Russia Political Policy series for a panel discussion looking forward once the election is behind us. 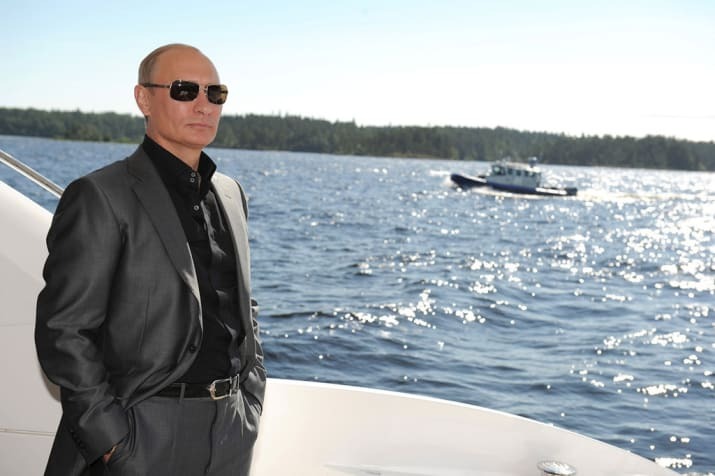 Will Putin actually become a “lame duck” in the conventional sense of term-limited presidents? If so, when? If not, why? What does this hold for policy – both foreign and domestic – in the coming years? And what does it mean for Russian politics in Putin’s “last term”? If Putin really is going to be stepping aside, then what comes next? Henry Hale is Professor of Political Science and International Affairs, and Co-Director of the Program on New Approaches to Research and Security in Eurasia (PONARS Eurasia) He has spent extensive time conducting field research in post-Soviet Eurasia and is currently working on identity politics and political system change, with a special focus now on public opinion dynamics in Russia and Ukraine. His work has won two prizes from the American Political Science Association and he was awarded a Fulbright Scholarship for his research in Russia in 2007-2008. Prior to joining GW, he taught at Indiana University (2000-2005), the European University at St. Petersburg, Russia (1999), and the Fletcher School of Law and Diplomacy (1997-98). He is also chair of the editorial board of Demokratizatsiya: The Journal of Post-Soviet Democratization. Yoshiko M. Herrera is Professor of Political Science at University of Wisconsin-Madison, and Director of the UW-Madison Partnership with Nazarbayev University in Kazakhstan. Herrera’s work focuses on politics in Russia and Eurasia; social identities and norms; nationalism and ethnic politics; and constructivist political economy. Kimberly Marten is the Ann Whitney Olin Professor of Political Science at Barnard College, Columbia University, and the Director of the Program on U.S.-Russia Relations at Columbia’s Harriman Institute. In March 2017 the Council on Foreign Relations published her special report, Reducing Tensions between Russia and NATO. She has written four books, most recently Warlords: Strong-Arm Brokers in Weak States (Cornell, 2012). Her first book, Engaging the Enemy: Organization Theory and Soviet Military Innovation (Princeton, 1993) won the Marshall Shulman Prize. She has written many academic journal articles and book chapters, and has recent policy articles in The New Republic, The Washington Quarterly, ForeignAffairs.com, the Washington Post’s Monkey Cage blog, and the Huffington Post. She is a frequent media commentator, and appeared on “The Daily Show” with Jon Stewart. She earned her undergraduate degree at Harvard and Ph.D. at Stanford. She is a member of the Council on Foreign Relations. Graeme Robertson is a Professor of Political Science at UNC at Chapel Hill. His work focuses on political protest and the competition between rulers and their challengers in contemporary authoritarian political systems. His recent publications include work on political institutions in authoritarian regimes, analysis of structural and political factors that shape regime dynamics and studies of the factors that shape support for and opposition to autocrats. He has published articles in many academic journals including the American Political Science Review, the American Journal of Political Science, The Journal of Politics and the British Journal of Political Science. His most recent book, The Politics of Protest in Hybrid Regimes: Managing Dissent in Post-Communist Russia, was published by Cambridge University Press in January 2011. Graeme is currently working on a number of projects including a book on how dictatorship functions in Russia and an analysis of the effects of revolution and war in Ukraine.